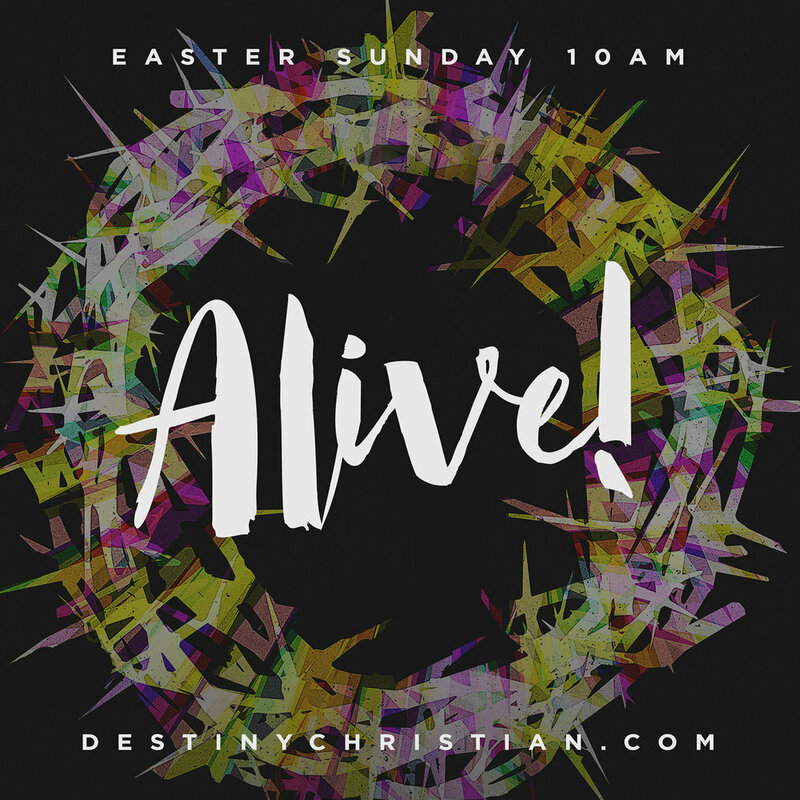 Celebrate Easter at Destiny in one big service at 10AM. Service will be followed by our annual Easter Eggstravaganza. Easter is always a great opportunity for you to invite friends and family to church as we celebrate the life of Christ in this very focused way. We believe that God is going to use this very special Sunday as a moment of impact in the hearts and minds of everyone that attends. 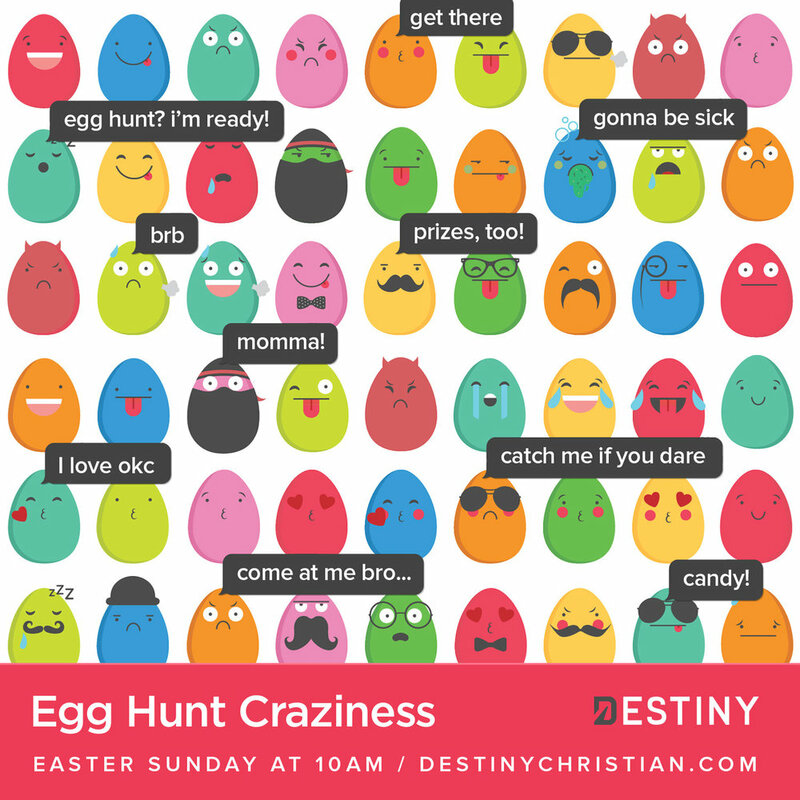 Share with friends and family, inviting them to Easter Services and the Egg Hunt. We've provide below some images optimized for social networks like Instagram or Facebook. Share an image with a simple "You're invited this Easter!" 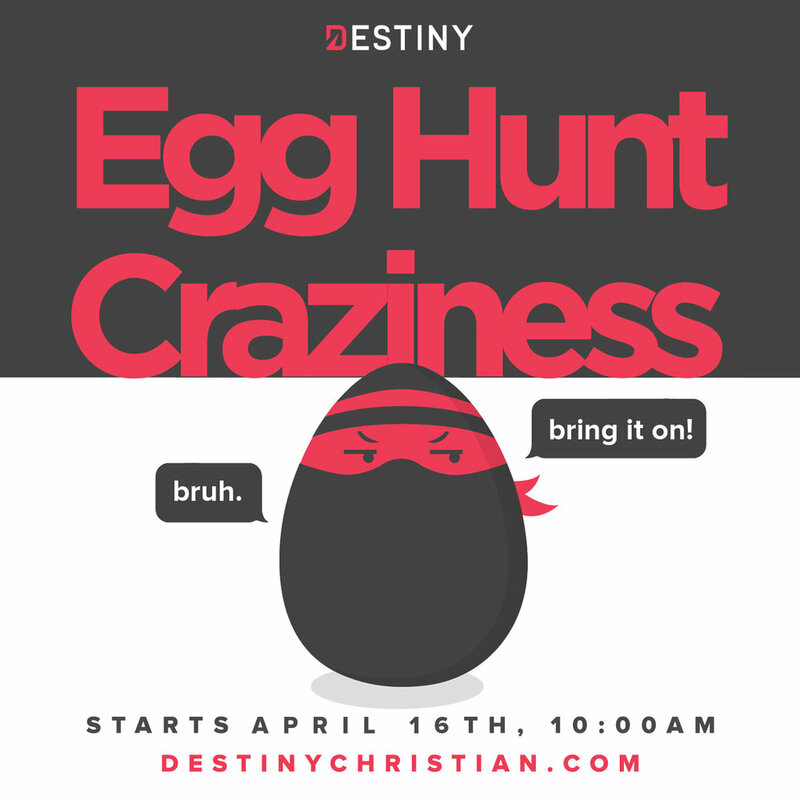 You can also add the church profile name @destinyokc on Instagram or twitter to make it easier for people to find more information, or just post the link to this page! Here are some images optimized for sharing with friends and family. Simply click the image below and then save to your device or desktop for sharing on your own networks. Our profile on Instagram is @destinyokc if you add us in your post it will help people more readily find the info they need. If you're on a desktop computer, right click on the image and save the file for use. If on a mobile device simply push and hold and then save the image.